Business owners who are considering expanding or moving to a new location have good reason to take pride in their growing success. 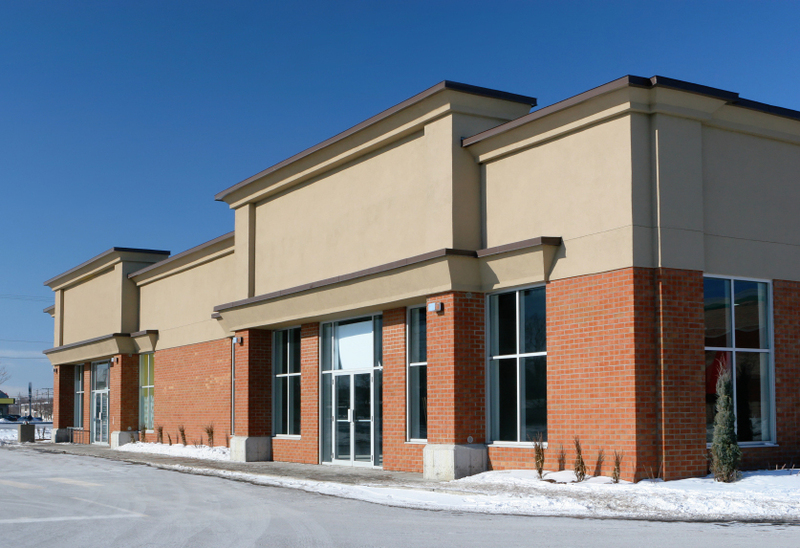 Savvy owners can capitalize on that success by seizing the opportunity to have a building custom designed for them that will make the business stand out above the competition. As a premier commercial building designer in Dallas for over 30 years, Paradigm Design & Construction has extensive experience in architectural design. Our team of skilled designers can help ensure that your growing business continues to thrive. At Paradigm Design & Construction, our design team works closely with clients, listening carefully to individual needs and specifications to ensure that their unique vision of an ideal business or commercial environment is brought to life. Licensed, bonded, and insured, our experienced designers give you the confidence to dream big, creating an architectural design that guarantees that your building will produce a lasting impression and will expand your brand’s exposure. Whether you’re looking for a firm that can create an architectural plan for your new structure or whether you’re looking for a design/build team that can handle a project from start to finish, Paradigm Design & Construction provides services to meet all of your commercial design and construction needs. We take pride in our well-earned reputation for creating spaces that are both innovative and practical. A new building, a build-out, an add-on, or an addition creates a unique opportunity for your business to work and look better. Our experienced designers can help you make the most of your growing success, with structures that maximize function while creating a distinct and memorable style. To schedule a design consultation for a commercial building that’s sure to stand head and shoulders above the competition, call Paradigm Design & Construction at 972-542-6959. When you are getting a new home, especially your first home, constructed, you want to make sure that you are getting the exact design that you want for your home. If you envision a two, three, or four bedroom house; a larger or small kitchen; a basement or attic; a large patio or lanai; or any other feature, it is important that you work with a construction company that will be committed to providing you with your dream home. Paradigm Design and Construction is a home construction company in Dallas that looks to relieve some of the stress of new home construction for its customers by working hard to give them the types of custom-built homes that they envision for themselves and their families. If you live in the Dallas area, you should consider us for your residential construction needs because we will build you a home that your family can live in for generations. 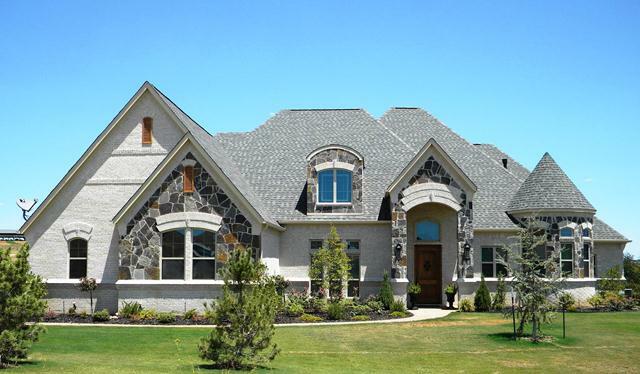 Our skilled architects and builders work with you to make sure that your home has the specifications that you want. We don’t want you to walk away with a house lacking the types of features that you want. If you are looking for a Tudor, Modern, French Eclectic, Victorian, Tuscan, or another style of home, our highly-skilled team can build it. Every residential home design that we create is based upon our clients’ personality and aesthetics, but we also take their budgets into consideration. We make sure that you get a home that fits within your price range but has the type of kitchen, bedrooms, living room, bathrooms, and other rooms that you, your partner, and the rest of your family want. When you are considering residential home builders in Dallas, you should take a closer look at our company because of our reputation. We have been around for 30 years because we care about the personalized needs of our customers. Our founder Tony Hall started working as a roofer at age 15 and went on to become a crew manager for one of the biggest home construction companies in the United States. From the beginning, he was dedicated to having a home building company capable of producing high-quality custom-made homes, restorations, expansions, and commercial building projects. Paradigm Design and Construction works with people in different parts of Texas, including Dallas, Farmersville, Princeton, Southlake, Frisco, Lewisville, McKinney, Rockwall, Wylie, and Fort Worth. Whatever type of residential home project you have, we will work hard to accommodate you. Call us at 972-542-6959. Having a beautiful, interesting, or innovative commercial building is often the dream of Dallas, TX, business owners. Nothing states more about your business than the building where you’re located, and having the perfect exterior makes for great first impressions. At Paradigm Design & Construction, we know how important building aesthetics are in Dallas, which is why we offer architectural design services to each of our customers. You want your business to be unique, and starting with a custom design package for your building is a great way to maintain your individuality. Paradigm Design & Construction’s commercial building design packages available to choose from are completely customized to fit your business’s needs, providing full-functionality while maintaining a unique and professional aesthetic. Absolutely every part of the construction job is tailored to your wants and needs. No matter what you have in mind for your building, Paradigm Design & Construction can handle the job. Our team has worked with a range of residential and commercial construction projects in the Dallas/Fort Worth metroplex. Our team of designers has the skill and know-how to bring your vision to life. We’re known for our creative yet practical building spaces, and we work directly with each and every customer in order to attain complete customer satisfaction. Our Dallas construction company knows how tough it can be to blend your business’s focus with its commercial design. But that’s why we’re here—to bring customized and creative commercial construction designs to businesses all over Dallas. For more information on our design process, or to discuss how your business can benefit from a custom commercial design, call Paradigm Design & Construction today at 972-542-6959. You can also view our design portfolio for ideas and inspiration.